Is 'shaman' a magical operator? Or could he be a psychic, an exorcist, a bio-energo therapeutist, a fortune teller, an intermediary between the world of spirits and a human collectivity, a cultural hero, or just a mysterious, nameless person? Not with-standing standing decades of extensive researches into the bewildering shamanic practices, we are still looking for a precise, acceptable description of this thaumaturge, called shaman-leave alone a valid explanation of the baffling shamanic phenomena and, yet beyond, of its cosmology. What then, is the shaman-linked 'ism': shamanism? Is it an infra-religion, a spirit-possession cult, or a religion in its own right? Or, how far is the shamanic cosmos directly involved in a religious cult? Addressing afresh these and other related questions, a group of eminent scholars from different European countries here tries to capture some of the highly gripping aspects of shamanic cosmology, diffused in varying Eurasian environments. This book is essentially the outcome of an International Symposium: October 1996, Venice, Italy. Including new investigative studies of both the traditional authentic shamanism and neo shamanism, in diverse local situations: ranging from the frozen plains of Siberia to the jungles of Orissa, from the Himalayan valleys to the islands of Indonesia, the authors describe shamanic trance/flights/ecstatic experience; how a shaman envisions the true nature of the cosmos, beyond its trivial appearance; and how, through his mysterious power, he can move among the dead men, spirits and gods. An unbiased inquiry into the intriguing, yet heart-stirring, shamanic phenomena, it is certainly a work of absorbing interest to ethnologists, social/cultural anthropologists, shamanologists, historians of religion, and general readers alike. Dr. Romano Mastromattie is Professor of Cultural Anthropology at the University of Tor Vergata, Rome. 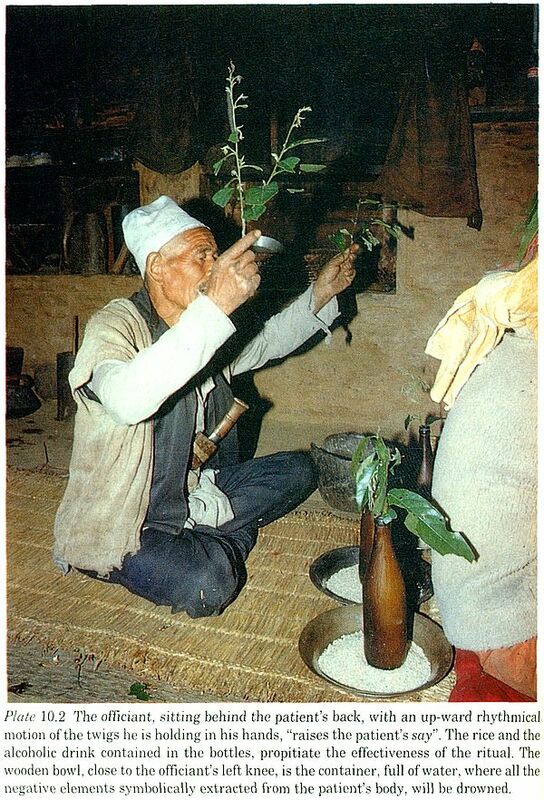 A scholar and author of international renown has been carrying out researches in Nepal, and is the Founder and also present Director of the CIRSE (Inter-University Center of Research on Euro-Asian Shamanism)-a center instituted by a group of six Italian Universities, which coordinates Shamanic Studies. Dr. Antonio Rigopoulos is a reputed historian of religions and philosophies. Having had a two-year stint as Assistant Professor of Indology at the California University, Santa Barbara, he is now engaged in research work at the University "Ca' Foscari" of Venice. 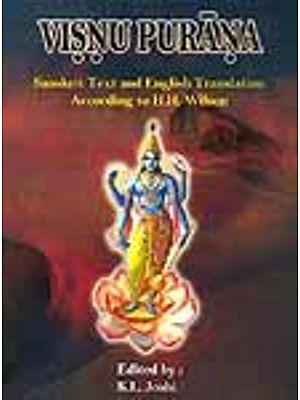 Currently Secretary General of the Venetian Academy of Indian Studies (VAIS), Dr. Rigopoulos is the well-known author of several books and articles on Sai Baba of Sirdi and Lord Dattatreya. His preferred field of research in India is Maharashtra and northern Karnataka. "Shamanic Cosmos: From India to the North Pole Star" is the title of the first international conference on shamanism which was held in Venice, Italy, at the Auditorium Santa Margherita of the "Ca' Foscari" Venice University from October 11-12, 1996. It was organized by the Department of East Asian Studies of the "Ca' Foscari” Venice University, together with the Venetian Academy of Indian Studies (V.A.I.S.) and the Inter-University Center for Research on Eurasian Shamanism (C.I.R.S.E.). This symposium was prompted by recent studies and field-works carried out in the Indian subcontinent by Indologists of the "Ca' Foscari" Venice University, led by Prof. Gian Giuseppe Filippi, as well as by the dedicated field-research conducted in Nepal and the adjoining Himalayan areas by ethnologist Prof. Romano Mastromattei and his equipe. The primary aim has been of collecting new data and providing scientific interpretations on shamanic conceptions present in Asian civilisations, focusing upon the central issue of spatial organization. Thus a varied collection of fourteen essays present in this volume discuss different aspects of shamanism, within the framework of a contextualized, historical approach. This productive symposium featured initial draft works of all essays contained in this volume by Basilov, Brae de la Perriere, Cacopardo, Filippi, Giuriati, Hoppal, Lewis, Massenzio, Mastromattei, Nicoletti, Rigopoulos, Sestini, and Torcinovich. In addition to all those, the essay by Dr. Galina Ogudina is also included, which she would have presented at the conference, had she been able to attend it. Among the participants to the symposium was Prof. Giovanni Stary, who offered a commentate slide presentation concerning shamanic rites prevalent in contemporary Korea. This symposium could have never been arranged without the inspiring guidance of Prof. G. G. Filippi and the staff of the Department of East Asian Studies of the "Ca' Foscari" Venice University. Our sincere thanks go to all colleagues who participated in this scholarly enterprise and to Mr. Susheel K. Mittal, director of D. K. Printworld, for the support he has given me and Prof. R. Mastromattei in compiling and editing this volume. Hoping that students of shamanism may find this collection of papers useful and stimulating, editors express aspiration that this international conference on shamanism may be the first one among many more to come: It's like "breaking a new ground" in effort to inspire new initiatives of this kind in future, so as to create an ongoing network of scholarly reflection and debate concerning this vast, fascinating, and alas! too often neglected field of studies. In presenting the proceedings of this symposium, I first of all wish to express my gratitude for having been given such an honour, as well as to state my inevitable inadequacy to accomplish such a task as it deserves. It is not merely a matter of dutiful modesty by way of self-defence, but a question of a purely scientific nature: the subject-matter itself, here or under other circumstances, may well appear to be sufficiently homogeneous to be dealt with by a single scholar - albeit taking a thousand precautions, but it is at the same time totally heterogeneous, to the point of making one despair of ever being able to grasp it all. I also wish to remind readers - and in particular non-Italian readers - that the Venice symposium was the first international conference devoted to shamanism in Italy and that probably the time is still not ripe to deal with the subject of the shamanic cosmos in a collective manner. In Italy, the tradition of studies in this field is fairly recent, although it includes some important works. Anything concerning shamanism has consequently been treated with the greatest attention, even if not strictly pertinent to the subject of space, as covered, traced and freely conceived in shamanic practice and vision. Notwithstanding the very large number of publications which have appeared in this century and the numerous conferences held on the subject, we are still discussing "what shamanism is, and what a shaman is". I must confess that I long banished this thought from my mind, after offering a personal working definition some years ago and engaging myself body and soul into field research. However, after listening and subsequently reading the symposium reports one feels the need to face this basic question anew, i.e., not only along the same lines as the previous praiseworthy discussions but also in the light of current political realities, whose impact is felt by the researcher struggling with a mass of papers that threatens to submerge him or her, just as much as by the field researcher operating under all conditions, among peoples who are oppressed, impoverished and often simply crushed by their political systems, or else are overwhelmed in their total ruin. One of the greatest merits of this collection of reports, on the other hand, is the evident desire of all the scholars concerned to observe shamanism without preconceived ideas and without conditioning induced by any political or economic situation, by their own specialisation, or by the conventional academic classification of their own discipline. 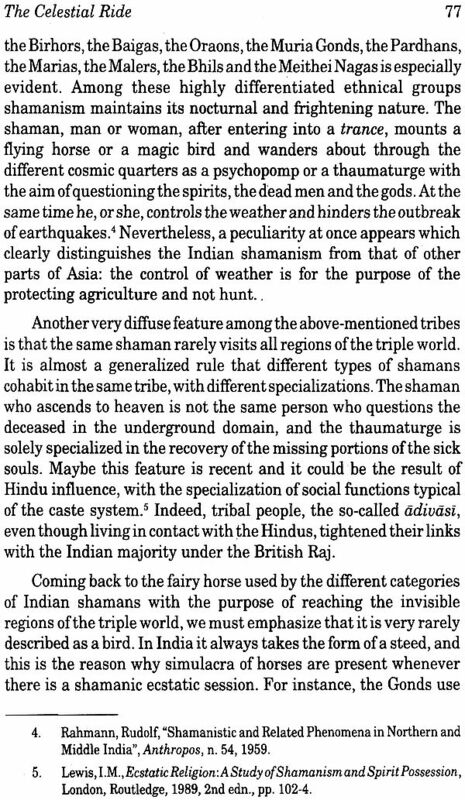 Thus, the praiseworthy studies of the Indologists, by way of example, have examined shamanic phenomena - or phenomena of shamanic origin - as such, and have not presented them as a religio inferior as compared to the dominant religions of the Indian subcontinent. 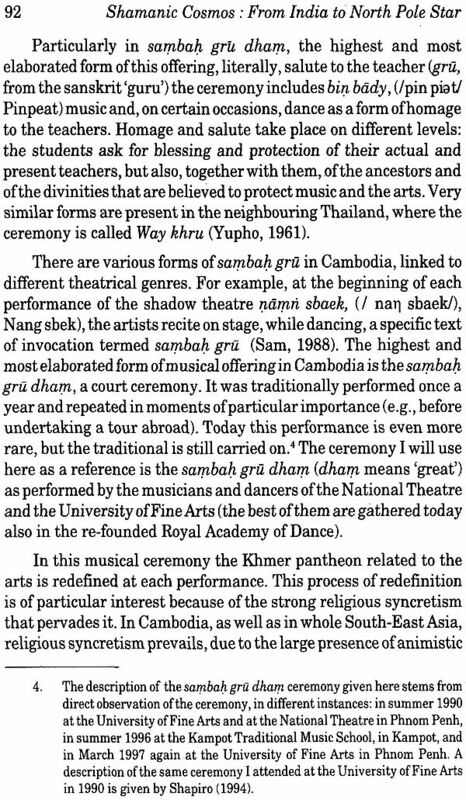 Musicologists and scholars of choreography have shown great interest in the various types of trance phenomena, whether directly derived from similar shamanic phenomena, or belonging to an area which is common to shamanism as such and to sundry kinds of possession cults. The description and analysis of the spirits belonging to these cults seems to demonstrate the existence of an autonomous and distinct religious complex, deserving a separate study. Having been given the task of providing a general introduction to a series of writings by different authors, it is natural to begin by analysing the works that present a general approach to the subject. Although I find it preferable to follow this criterion, it must also be said that even contributions of a more monographic nature give proof of an appreciable opening towards wider theoretical issues. The study by Vladimir Nikolaevic Basilov reveals a vast and profound knowledge of Eurasian shamanism and a total absence of the dogmatic stands that characterised Soviet research. The Author opens by expressing his discontent and declares his conviction that current definitions of shamanism are inadequate. In my opinion, such definitions are certainly not, nor can be, exhaustive, while Basilov's own scientific contribution, based on his previous research and publications, appears to belie his pessimism from a factual point of view. He goes far beyond the still widespread socio-functional conception of the phenomenon, which other authors would prefer to tie as far as possible - not only in part or for a certain period of its history - to a society of hunters. 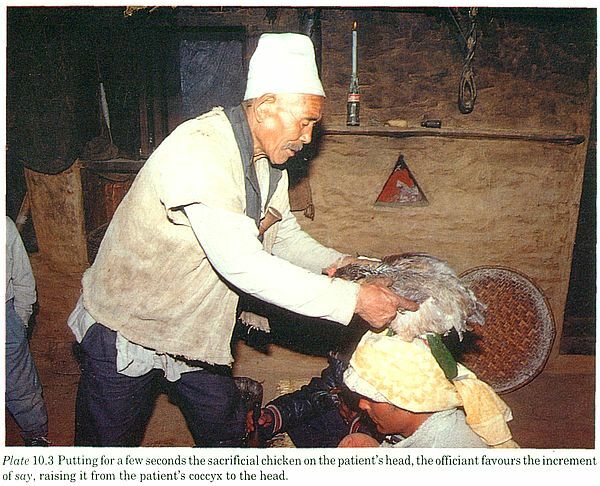 The shamanism of breeders and especially that of agricultural peoples cannot be legitimately considered a mere survival, since it typically reveals (or, revealed) an organic order and an ideological coherence. These are challenged and undergo a crisis only in times of persecutions which aim at their radical destruction or suppression. An essential point to which Basilov calls attention (p. 20) is the generative, growing potential of such phenomenon, which cannot be regarded as a kind of fossil purely subject to natural wear: "In the course of history, some old concepts were lost and some new ideas were acquired instead." If one reads shamanic texts and records the utterances of shamans during their séances, one verifies their capacity to assimilate and reelaborate in an original fashion various elements and figures taken from different religions and cultures. 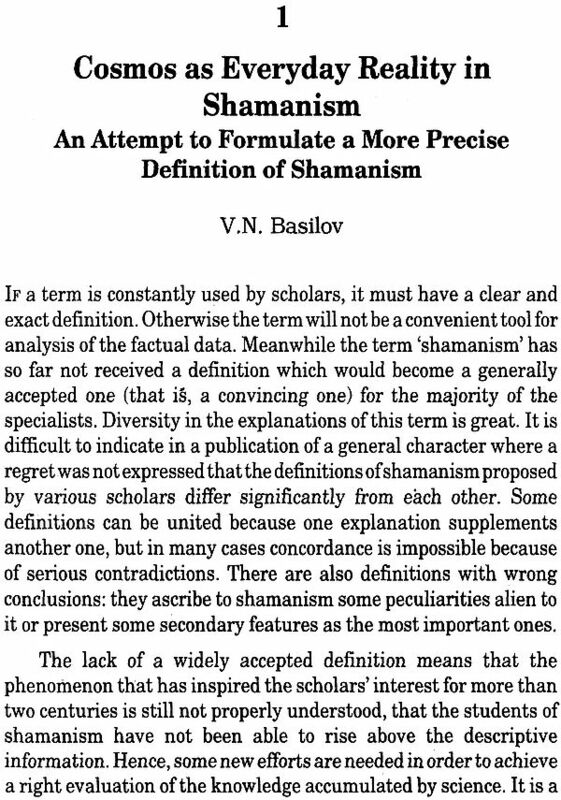 In this regard, Basilov disapproves (p. 22) the Soviet tendency to give central importance to the person of the shaman, and rather urges us to consider shamanic societies in their entirety. 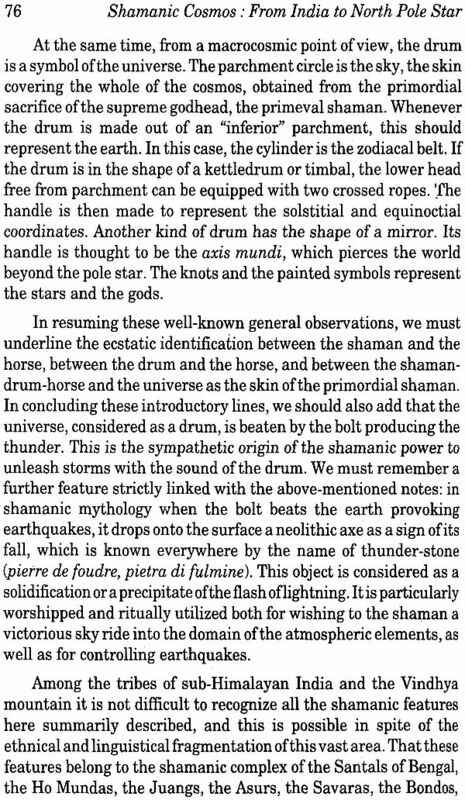 In my opinion, however, it is correct and realistic (even though for reasons other than those invoked by our ex-Soviet colleagues) to conceive shamanism in 'shamanocentric' terms. Basilov proposes an analogy (p. 23) with the functions of the Christian priest which are not to be taken as the exclusive landmark of his religion. This comparison, however, is not acceptable: the physical suppression of shamans- where it has been fully carried out - has indeed brought to the total disappearance of shamanism. Moreover, so-called 'lay shamans' cannot - by themselves - keep the authentic tradition alive. Basilov (p. 24 et seq.) presents a penetrating synthesis of the theories - differing widely from one another - held by scholars of the previous and current generations. He pays particular attention to A.V. 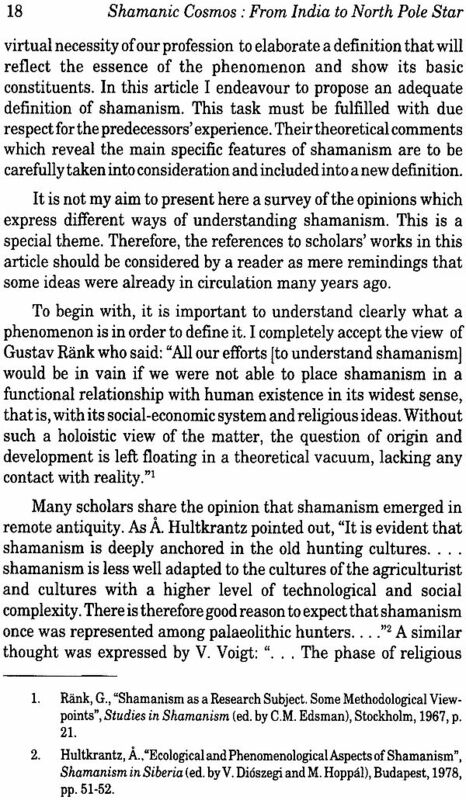 Revunenkova, who tends to view shamanism as an infra- religion (my own expression, which however seems appropriate), rather than as a religion in itself, to which latter theory Basilov inclines and with which I concur. The specific world-view of shamanism is listed by the author in seven points (p. 25 et seq.) outlining the shamanic cosmos as a harmonious whole of which men form an integral part, without objectifying distinctions or rigid identities. 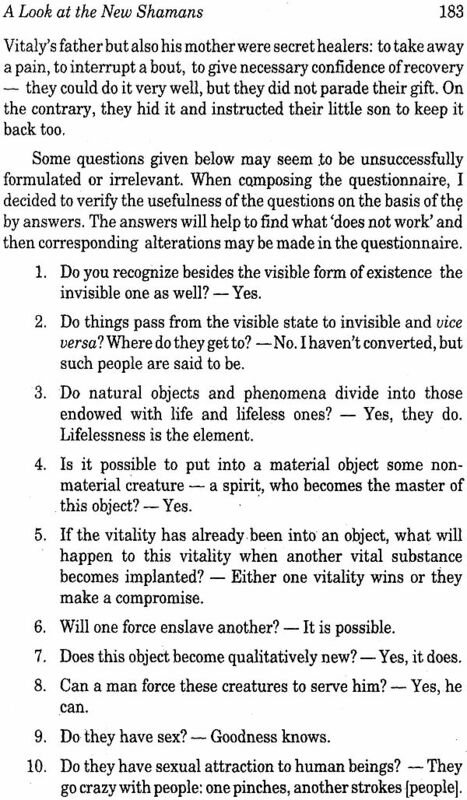 If I interpret Basilov's train of thought correctly, one might add that such an integration is not a fact, but the result of an activity, of a magical and cultural practice. Hence the difference between this view and an "amorphous animatism" (p. 26). 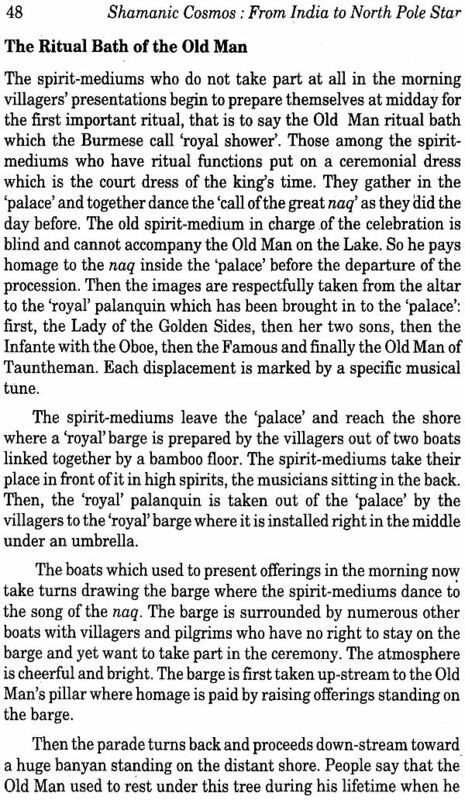 The author observes, moreover, that "only in shamanism is the cosmos so directly involved in religious cult", thus also underlining the difference between magic-cultural relations with a greater or lesser number of gods and the polytheistic cult- a later one, according to Basilov (p. 29) - of "distant, unattainable beings". 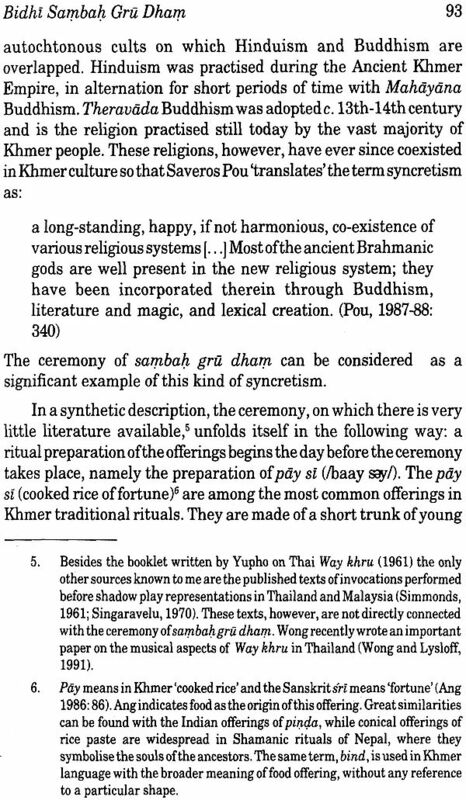 Although classical polytheism appears, as such, to be later than some forms of shamanism, both kinds of cult can clearly co-exist, even if, not only in my opinion," shamans do not merely work out again, but rather reinterpret, modify and enrich the actual polytheistic forms before them. The author notes that shamanism "does not know social contradictions" (p. 29: original italics), wisely abondoning any retroactive interpretations which tended to put everything inside the iron - or clay - pot of Marxism. The overall definition of shamanism is taken up by P.T. Furst, according to whom it "is in a very real sense an ecological belief system". 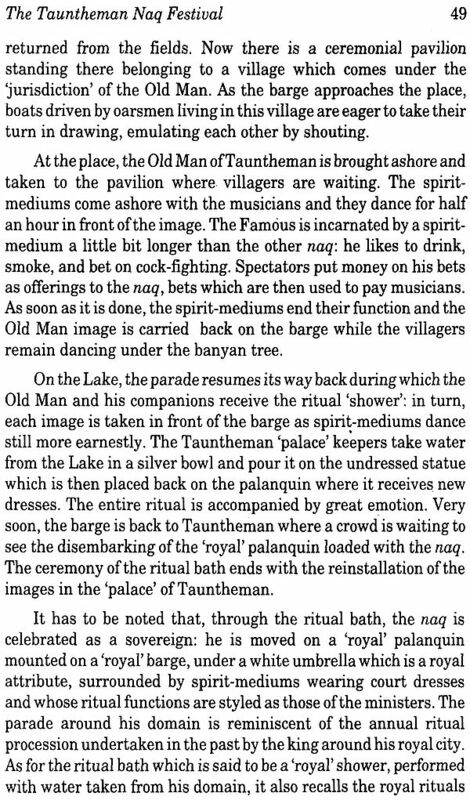 The final pages of Basilov's text are devoted to the figure of the shaman and his peculiar attributes, of which first and foremost is the drum. 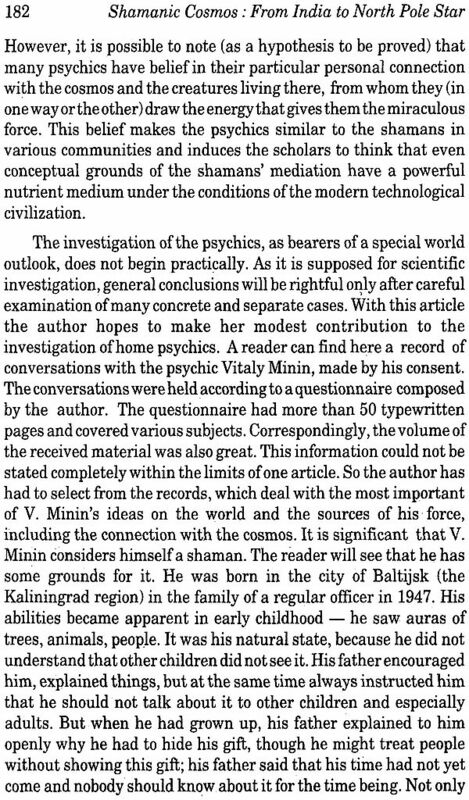 It is comforting to note that this open-minded and profound analysis dates back to 1984, the year in which Basilov published Izbranniki duchov (The Spirits' Representatives), a work in which the author cleared the ground of all the prejudices that had accumulated for a century against shamans, either accused of being mystifiers, or psychopaths to be understood and eventually cured, or merely enemies of the people and of State religions, whether theist or not. Ioan M. Lewis's contribution devotes much space to the important research on Tungus and Buryat shamanism carried out by Roberte Hamayon, although disagreeing with the French scholar's interpretation on several rather significant points. The most serious difference can be found in the definition of trance phenomena, which Hamayon places within the shamanic experience rigidly structured from a gamic point of view, i.e., of relations with spirits tied to an interdependent economy, whereas in such phenomena Lewis tends to see a general experience common to different forms of shamanism, also present - beyond the widest limits of the shamanic cosmos - in ecstatic religions of a quite different nature. The difference is clearly formulated by Lewis, who states that "it seems more pertinent to regard the shaman's celestial marriage as a unique validation and guarantee of his spiritual power, rather than as a cosmic instrument to control the game supply" (p. 121). Both this and other differences, however, appear to be the result of the different research environments and methods of the two scholars, rather than a general clash of ideologies. 7. IS THERE A SHAMANTIC COSMOLOGY?